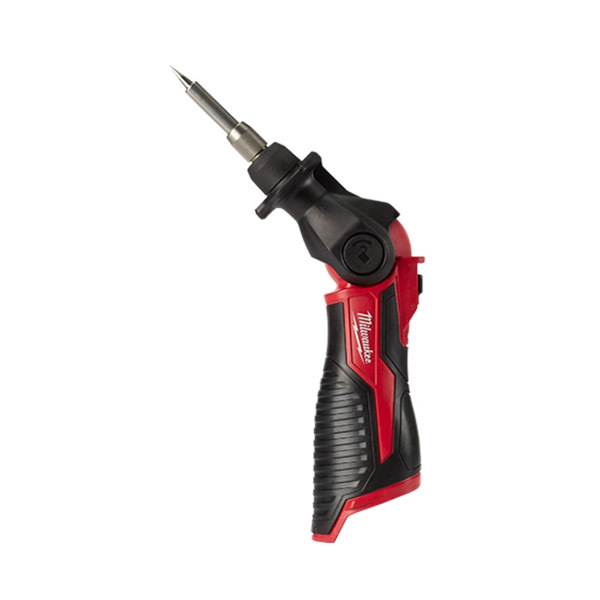 The Milwaukee M12SI-0 12v Soldering Iron gives the user quick application due to the soldering iron being able to reach operational temperature in under 18 seconds. The soldering iron not only heats quickly but it also maintains the optimized temperature throughout the most demanding tasks. Safety is kept in mind with the soldering iron as it features REDLINK™ intelligence which tells the user when the soldering iron is ready to use (green led indicator) and when the tool is offer but still hot (red indicator). This helps the user to know when the iron is ready to use and when it is safe to put away.